Kerala is drowning under the century's worst deluge. With over 168 people dead already, the people in Kerala desperately needs your help. Kerala’s flood situation is worsening by the day as heavy rains continue to pummel the state. Death toll from the flooding has now risen to 168 since August 8, according to Kerala Chief Minister Pinarayi Vijayan. 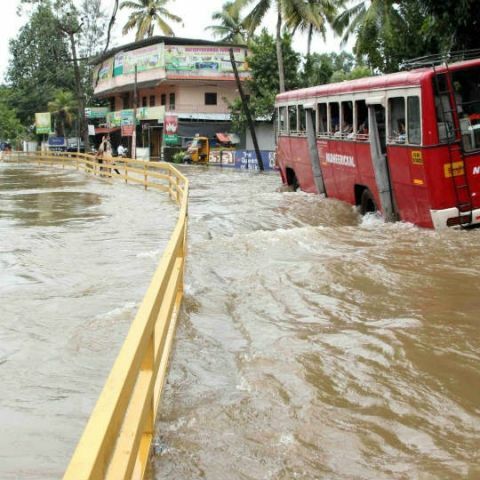 Four districts — Pathanamthitta, Ernakulam, Alappuzha and Thrissur are the worst affected with all 14 districts under red alert. Water levels in many rivers have risen inundating several towns and villages. The Indian Meteorological Department has forecast heavy to very heavy rainfall in isolated places till Saturday. The situation is certainly grim and there is a pressing need to relocated people and families stranded in flooded areas along with medical attention and provide rescue and relief materials. The Central Government, State Governments, Volunteers and NGOs are working to mitigate the impact of the disaster, but they need your help. Google Search now has a separate tab to track the events of the flood. Google also has a list of emergency and helpline numbers to contact for those affected by the deluge. Google’s People Tracker is also active in the area to help locate citizens in Kerala. 16 teams of Army, 42 teams of Navy and 28 teams of NDRF are currently invovled in rescue and aid operations. But there’s a lot more that needs to be done. Hospitals are facing oxygen shortage, and there’s widespread shortage of fuel. 1. Cooking utensils and dining utensils like plates, tumblers, etc. Furthermore, the District Collector of Idduki has asked for the following items. 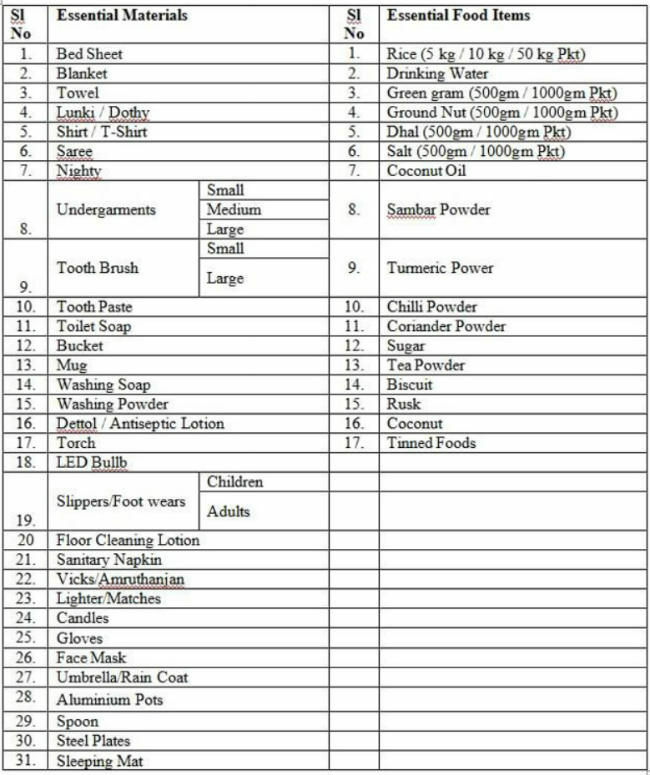 You can send items at: District Collector Idukki, Idukki Collectorate, Painavu P O, Kuyilimala, Idukki, PIN - 685603. The Kerala chapter of Institute of Electrical and Electronics Engineers with the support of IT Mission has launched a website to collaborate with government departments, volunteers and the public effectively. The website is being monitored by points of contacts in each districts to deliver the requested materials from the public. The website is called keralarescue.in. People affected by the floods can provide their locations and detail their specific requirements. District specific needs can also be seen along with collection points and point of contacts. You can also volunteer individually to help out with rescue operations. You can also donate via UPI or QR codes available at South Indian Bank, Federal Bank and SBI. This is being called the worst deluge of the century with over 168 lives lost already. Many are stranded and need immediate help with essential supplies and relocation. Let’s come together and help out our fellow citizens. Best Trolly Speakers in Kerala, Kochin for out door training purposes. How can you upgrade the OS in your Lava Iris 405? How can i figure out the speed of my smartphone ?